The "Dark Barrel Latte" is a creamy coffee drink inspired by Irish stout. 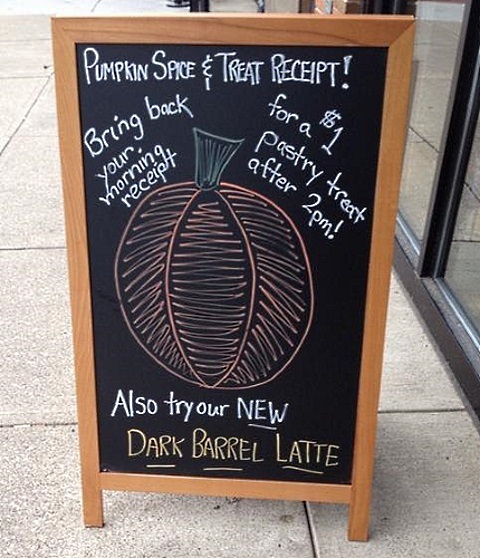 According to posters on this Reddit thread, Columbus, OH is ground zero for Starbucks Dark Barrel Latte testing. The DBL, Starbucks’ latest latte venture, is made with a flavored syrup that reportedly tastes like dark stout beer (e.g. Guinness), according to The Irish Independent. Fans of both coffee and stout already know how well the two go together. However, it’s been more about coffee-flavored stouts than stout-flavored coffees up to this point. Apparently the new dark barrel latte at starbucks tastes like beer. If there was ever a latte that should be tested in wisco, that’d be it. Really pissed that @Starbucks took away the #SaltedCaramelMocha in my area for the #gross Dark Barrel Latte. Nobody wants beer in coffee.